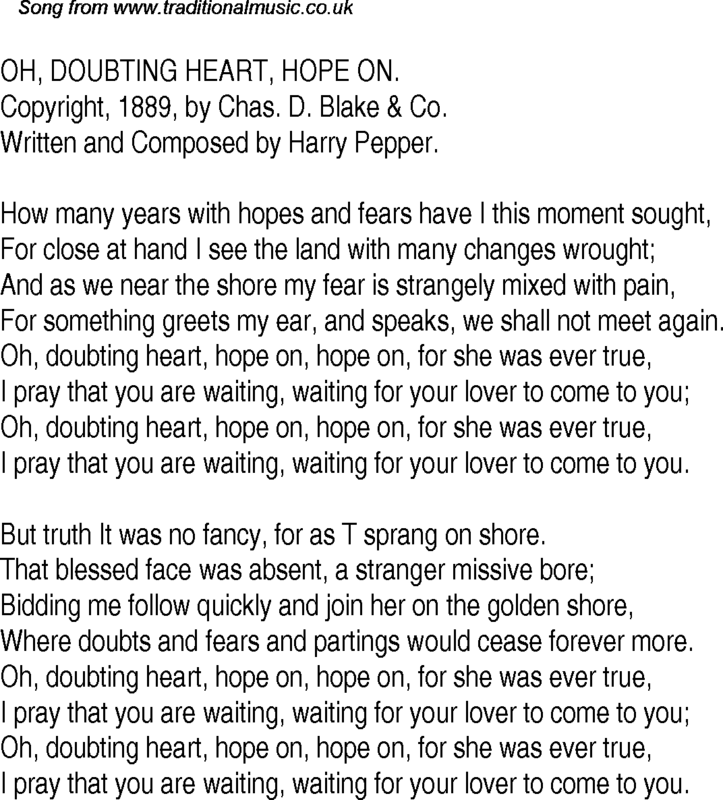 OH, DOUBTING HEART, HOPE ON. Copyright, 1889, by Chas. D. Blake & Co. Written and Composed by Harry Pepper. For something greets my ear, and speaks, we shall not meet again. I pray that you are waiting, waiting for your lover to come to you. But truth It was no fancy, for as T sprang on shore. Where doubts and fears and partings would cease forever more.